Audi opens its first dedicated driving centre near its factory in southern Germany. 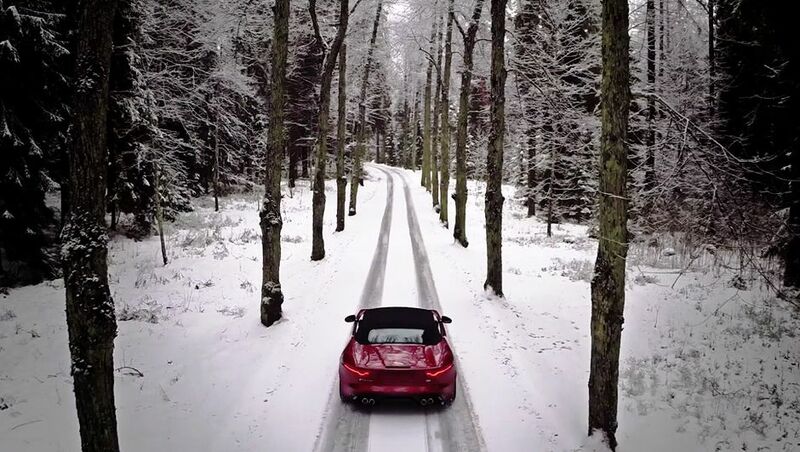 Jaguar offers a tantalising glimpse of its ice driving course in Finland. A surely breathtaking admission from the UK’s Gibraltar minister, two comedians embark on a round Italy road trip and the lights go out in Luxembourg as road works season kicks off with a vengeance. Audi opens its first ‘Driving Experience Centre’ in May. Located in Neuberg an der Donau – 18km west of the company’s Ingolstadt headquarters, between Munich and Nuremberg in southern Germany – facilities include a 3.4km handling course, 30,000 square foot skid pan and two off-road courses, one with a 8m high, 55 degree hill. From August, the 47 hectare site beside the River Danube, will also be home to Audi Sport. The racing team will design and build WEC Le Mans and DTM cars at Neuberg, and use the track for early tests. Multi-day, full day, half day, group and one-to-one driving courses are available, with everything from all-round experiences to chauffeur training, advanced avoidance techniques and circuit driving. Prices start at €290 per person. Vehicles include the S4 Avant, A8 quattro, R8 V10 and the range of Q 4x4s for off-roading. The centre is also the start of a four hour ‘Audi Brand Experience’ drive through Altmuhltal by R8 V10. The 3,000 sq km nature park, just north of Neuberg, is Germany’s third largest, famous for its dolomite cliffs, juniper heaths and river valleys. The tour costs €520 including one tank of fuel. From its Driver’s Lounge restaurant with a panoramic view of the track from the terrace, and its proximity to the factory, Neuberg offers a totally immersive Audi experience that could keep visitors busy for a couple of days. Download the Audi Driving Experience brochure here. ‘Alive on Ice’. Sadly, Jaguar’s winter driving course in central Finland does not include a cross country blast by F-TYPE… However, the three day affair does feature cross country dog sledding and ski-doo riding (and a day in Helsinki) and they do promise ‘challenging driving experiences’. See jaguar.com/icedrive for more. roundup: ITALY ‘The Trip to Italy’ – ‘two men, six meals in six different places on a road trip around Italy’ – starring Steve Coogan and Rob Brydon, directed by Michael Winterbottom, starts tonight at 22:00 on BBC Two. GIBRALTAR. Breathtaking. The British government apparently has no objection to, ‘Gibraltar going further than the UK in terms of EU integration’, according to evidence given by foreign office minister David Lidington to the Foreign Affairs Select Committee yesterday. There have been concerns in Gibraltar about the effect of a UK exit from the EU. Meanwhile it was a relatively quiet day at the Spanish frontier. The longest delay was a merely extremely inconvenient 1h30, at lunchtime. LUXEMBOURG. After 13 years wrangling it looks like the embarrassing kink in the A13 motorway at Hellange will finally (start to) be removed at the end of spring (but take two years). Meanwhile, the lights along open stretches of the A6 motorway will be removed from next week in an effort to save cash long term. In addition to the demolition of the old Zoufftgem customs buildings on the A3 – lasting until the end of May – thirty months of repair works begins on the ‘Sernigerbaach Bridge’ on the A1 to Trier, just before the German border. The roadway won’t be affected directly but with the limit reduced to 50kmh delays are likely.